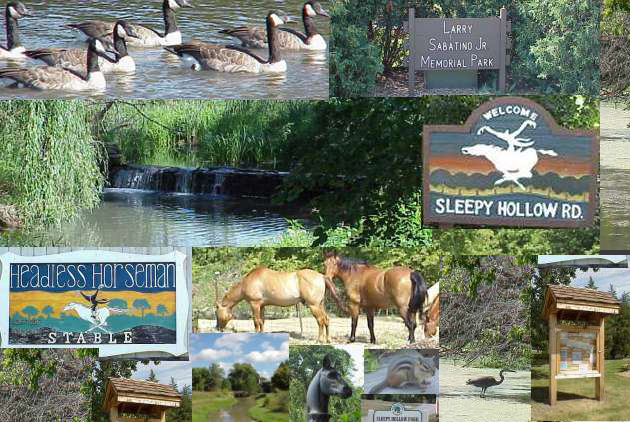 The Northern Kane County Chamber of Commerce represents the Village of Sleepy Hollow. The Village of Sleepy Hollow began as a planned community and is designed to be more hospitable than the typical suburb. A community garden project helps residents gather their own locally grown vegetables, and the Giving Garden supports area food pantries. While typically a bedroom community, a number of businesses launched in the village. Randy’s Vegetable Farm Stand sells flowers and produce during the warmer months. Retails stores include Advance Auto Parts and Verlo Mattress.